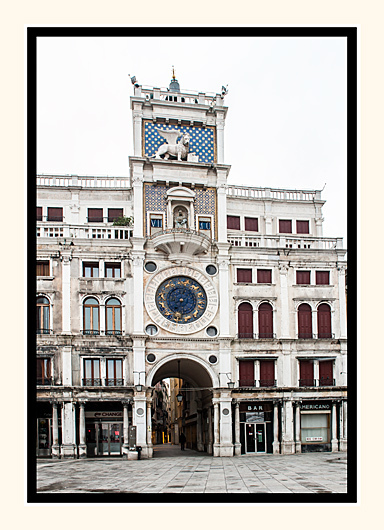 The Clocktower was completed in 1499, it was stated to be so ingenious and beautiful at that time. It was built above a high archway which is the main gateway into St Mark's Square (Piazza San Marco), and is also the entrance to the Merceria (a main street of the city) leading you along the main shopping streets to the Rialto, which is the commercial and financial centre. This is no2 of 3 Photos of the St Mark's Clocktower.